Attention all music lovers and CD collectors! Keep your CDs organized and protected from breakage. 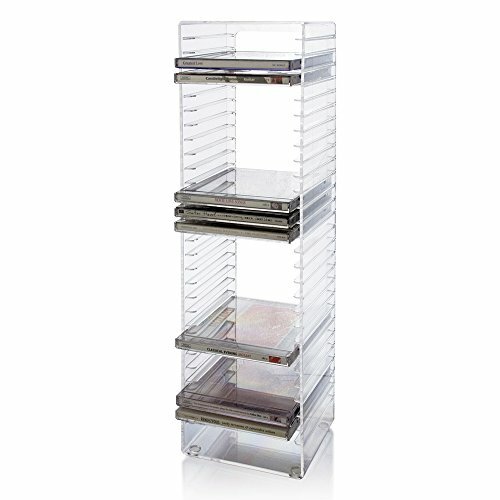 This sleek CD tower displays very nicely on a shelf or in a cabinet. Very affordable. Purchase multiple and place them upright side by side or lay them flat and place in a deep drawer. Can also lay on its side and stack one on top of the other for a bookcase effect. Slide CDs in each holder, spine-out, for easy view of the title. Made in USA. Clean and clear design fits in any décor!